I don't understand why Leni Robredo's handlers think it is ok to project her as weak. It isn't just this bullying issue. It is this whole "protect Leni" mentality. As though she is this person perpetually in need of rescuing. Is that the leader they want? Someone who needs to be saved? 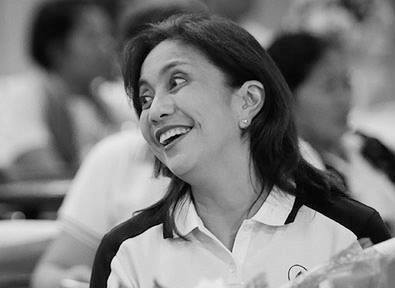 Instead of someone fearless and strong and taking on our enemies, they want someone so fragile that a person who calls her "basurera" needs to be vilified? Or that she can be bullied? Because, I am sure her handlers are aware of the concept of a public figure. In libel cases, a public figure is presumed to understand the effects of being out there. Especially if one runs for office. Bawal balat sibuyas. Bawal di matigas sikmura. In other words, dapat alam nya itong pinasukan nya. And in this case, dapat alam ng mga handlers nya na sinasabak nila sa gulo yung manok nila. But even more than that. They want to project her as clean and incorruptible and therefore worthy of becoming president. But they are disregarding historical experience. We've had a president allegedly clean and not corrupt because... no experience. And what happened there? Cory returned the oligarchy. And in doing so entrenched them. Cory was projected as weak. As in need of protection because evil people were out to get her. Leni's handlers project her as weak. In need of protection. A Cory-wanna be. Which for those who voted for Duterte is a huge mistake. Because We Remember. We too, don't forget.